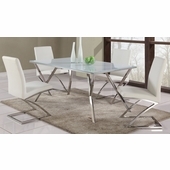 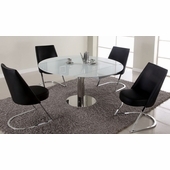 Enjoy sumptuous meals on this stunning tempered glass top chrome table. 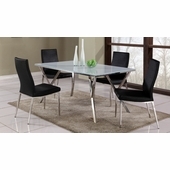 Featuring a tempered glass table top to ensure the safety of your friends and family. 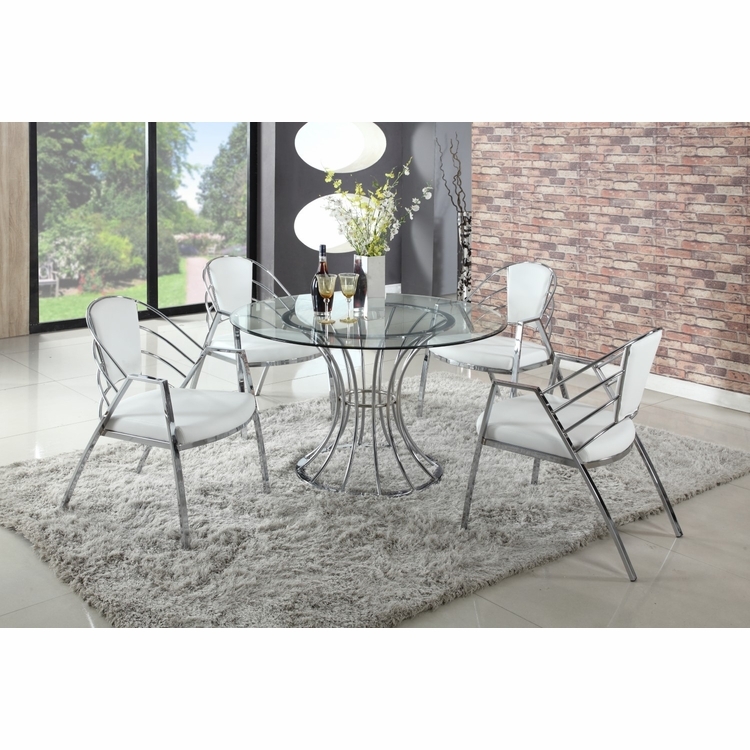 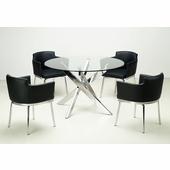 Complete the look with these chrome framed side chairs featuring a white faux leather cushion-back.